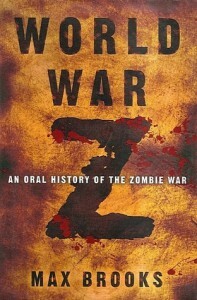 World War Z: An Oral History of the Zombie War - Kate Says: "Reading Is Fun!" Since I've heard great things about this book from friends and it's going to be a motion picture, I thought I should get around to reading it. I have to admit I'm glad I did because I really enjoyed it. 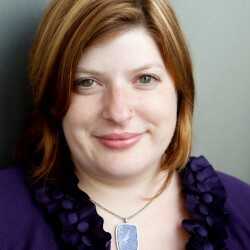 In this one Zombies are known as Zacks and the story is told from multiple points of view from survivors around the world in a series of interviews written up by one reporter. The structure of this book is very different from other fiction books I have read, but it works well in this, as each story kept my interest and made me want to keep reading. Since the book reads kind of similar to a screen play, I hope Hollywood won't mess it up too badly, but time will tell. Honestly, this is the most realistic portrayal of the Zombie war I have read yet, so I give kudos to Max Brooks for writing this unique portrait. Definitely would recommend to all zombie fans, as its a great read when Walking Dead is on hiatus filming and you are fiending for more of those slow, shambling cannibals, you know you love so much.